A game without item management would turn out to be as old-fashion arcade style as it gets and just focus on Action or Strategy (e,g, Chess), so maybe it could be considered unidimensional. I expect Dead Secret to have a New Game +, Multi-Endings or even a mechanic like the one on Shadow Of Destiny (Memories) in which you get believable outcomes no matter how you play but you need to get each one so that the True or Complete one can be achieved. Which are the traditional platforms that Dead Secret will be playable? I have a PC with a Multi-touch Monitor (Dell S2340T), will I be able to experience the game with that technology? Dead Secret has some of the things you mentioned, but I’m not saying which ones! You will be able to play Dead Secret on your PC sometime soon. Chris, just saw the trailer for Dead Secret, and I’m very much looking forward to playing it. I’ve been a reader of this blog for years, and as I’m on my own “survival horror quest”, playing as many of these games that keep trying to scare me, I enjoy what you do so very much. I am very interested in what VR will do for gaming and Survival Horror in general, as the brain will not be able to process one “reality” for another in a well crafted VR experience, this will have extremely interesting psychological implications in the future. Nice to see that Dead Secret will have VR capacity in the future….a post on what you think about VR and Survival Horror would be much appreciated. Sorry this post isn’t about inventory UI, but as you hardly have time to publish here, I’m afraid you wouldn’t get a chance to be asked the question elsewhere. Well there are games like Myst and Amnesia which don’t have an inventory at all, but are all environmental + one on hand item puzzles. True! We could consider those systems as incredibly limited space management (Myst only really has two things to collect if I remember correctly). Amnesia actually does have an inventory system (for oil, etc), it’s just not a main part of the gameplay. What is the effect of that approach? (I touched on one side-effect in my article on Ransacking). Hmm I don’t know how I personally feel about auto-combining inventory items as they are picked up. From a design perspective, I’m having a hard time seeing how doing this is any different from having 3 different colored keycards being required to open a door. Sure, thematically it’s definitely a more powerful tool since it’s no longer a literal key required to enter, but from a design perspective, is it really that different from your standard keycard door? Well, from a design perspective, all of this is just keys and locks. That’s pretty much a direct quote from Ron Gilbert, the guy who developed and formalized the Puzzle Dependency Chart gameplay pattern that all of these games are based on. Keycards or multi-part statuette with missing gem eyes, the challenge format is the same: figuring out which objects can be used in combination. This is also the main mode of challenge outside of the inventory in most Adventure games: “applying” items to the environment to the progress is the main mode of play here, and it is, at its core, a key/lock model even if the lock is complicated and there are multiple keys. When we auto-apply or auto-combine objects, we’re definitely removing a little bit of thought from the mechanic. But there are other wins that might be more important as well. In particular, I’m thinking about avoiding frustration that stems from overly complex or confusing UI. Here’s an example. Once upon a time in every Adventure game ever, you would collect keys and then have to match those keys to specific locked doors. Resident Evil is an easy example: you get keys with crests engraved on them that are used on doors that have the same mark engraved on them. Once upon a time, these games required you to actually open your inventory, select the correct key, and apply it to the door. This is a straightforward item application mechanic, but in practice it can be super frustrating. If you haven’t figured out how to match keys to doors, every time you get a key you have to run around to all known locked doors and try them. Silent Hill 2 went out of its way to differentiate “broken” locks from “locked” locks so that the total size of the puzzle space didn’t become insanely huge. If there are a lot of doors, or if the distance between doors is far, this mechanic can be incredibly arduous. It’s significantly worse if you have more keys. 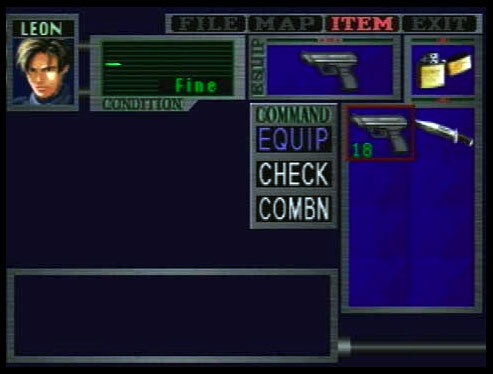 To mitigate this, at some point (Resident Evil Code Veronica is the first game I can think of, but it might not be the first) games started just having a “key ring” where keys automatically go, and can be automatically used. Run up to the door, try to open it, and if you’ve got the right key then the unlocking is automatic. This significantly reduces the frustration of iterating over unclear key/door combinations, and allows these games to be less heavy-handed about the way key/door connections are associated. It removes a little bit of the thinking, but it does so in exchange for a large anti-frustration win. 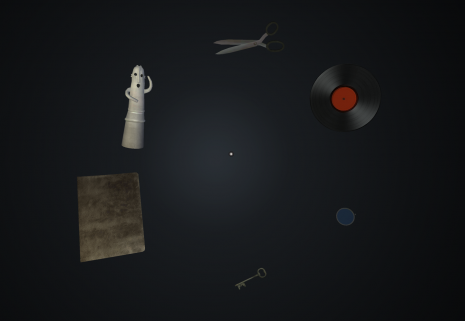 In Dead Secret we only have a few compound items, so automatic combination only happens every once in a while. Keys are automatically used in doors, though. You might lose a tiny bit of critical analysis gameplay by doing this (e.g. if I automatically put the batteries in the flashlight for you I’ve removed the need for you to think about putting the batteries in the flashlight yourself), but the anti-frustration and zero-overhead UI wins are a big deal. Oh yeah I totally understand, I agree that there are significant wins to be had from reducing the UI complexity, specially for a VR title, so I’m not arguing that this isn’t right for your game. In terms of puzzles though, I’m keen on investigating for our own game multiple solutions to a puzzle. We have an ingame crafting system and one of the thoughts I’m having that would make it interesting is providing players with multiple ways to solve puzzles. As an example, let’s say you have a locked door. Typically, if this is a door we want the player to enter using a key, you’d put the key somewhere you want the player to go (across the level, near some enemies, etc). However, I’m keen on rewarding players who think outside the box if possible, so one of the solutions I’d like to have is allowing the players to craft explosives and blow the door away. Of course there’d have to be some sort of visual cue to let the player know they can blow this door up, like cracks, but I think there can be some creative ways you can take a traditional item combine mechanic and really make things more interesting in terms of puzzle solving. I know that I as a player, always felt bummed out when I thought of a solution to a problem that *should* solve it, yet because it wasn’t the “right way” I couldn’t use it. From a design standpoint I know it will create a lot of work, but I think it could be worth exploring. I see where you are coming from, but item crafting is a fundamentally different design pattern than Puzzle Dependency Graph. I don’t think you can really mix them. Silent Hill 6 sort of tried and it was very bad, because you either lose the dynamic nature of crafting to fit your progression structure or you allow the player to screw themselves. Deus Ex and Dishonored have incredible dynamic world-based problem solving systems, and I think that’s similar to what you are talking about. But that design approach is a completely different thing than the Puzzle Dependency Chart pattern that’s being discussed here.